Made with 100% Polyester mechanical stretch interlock, this striking crew neck training jersey from our NSW State of Origin Team Replica 2018 collection has all the bells and whistles including team and sponsor logos, and a distinctive front panel design. Show them you’re a genuine Blues supporter and boost your on-field performance in our Vapodri+ Evo Pro S/S Training Jersey. 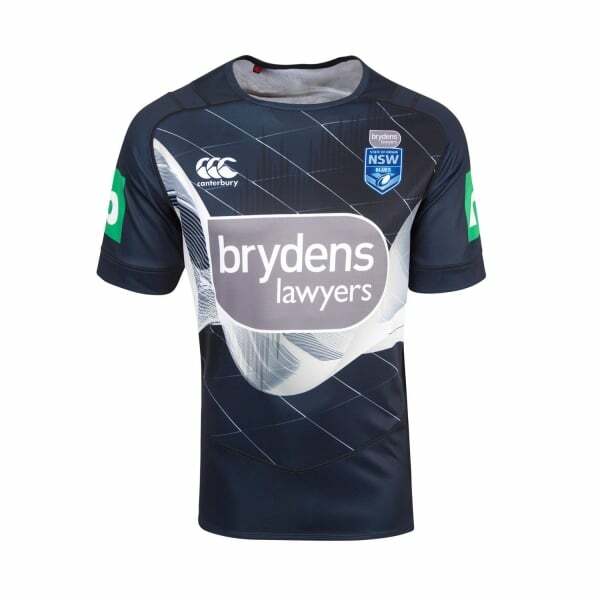 This classic replica training jersey from Canterbury’s NSW State of Origin Team Replica 2018 collection will take your training to a whole new level. Made with 100% Polyester mechanical stretch interlock for greater freedom of movement, it also features our unique Vapodri+ fabric technology, which keeps you cool and dry whatever you’re doing by wicking moisture away from the skin. Complete with team and sponsor logos and a striking front panel design, this jersey is a must-have garment for every dedicated supporter’s wardrobe.